I don't know about where you are reading this blog from, but here in Chicago we have been waiting for summer for a long time. Between our brutal winter and the overly chilly spring and early summer we have experienced, these 80-degree days that we have been experiencing lately have felt positively blissful-- and I've been doing my best to try and savor some outside time. After all, there are only 100 days of summer in Chicago (allegedly). I love entertaining outdoors in the summertime-- whether it's on our little deck, a movie in the park, or a friend's roofdeck, there is nothing like kicking back with friends, enjoying a Chicago sunset, and a glass of wine. Wine can always be a bit tricky when you're entertaining outdoors-- carting around enough for a crowd, the danger of glass bottles, and finding a wine that suits everybody's tastes are all big challenges. Recently though, I was introduced to Black Box Wines and I'm thinking I found my new summer party wine. Black Box is not your typical boxed wine... let's be honest, boxed wine doesn't have the best reputation. 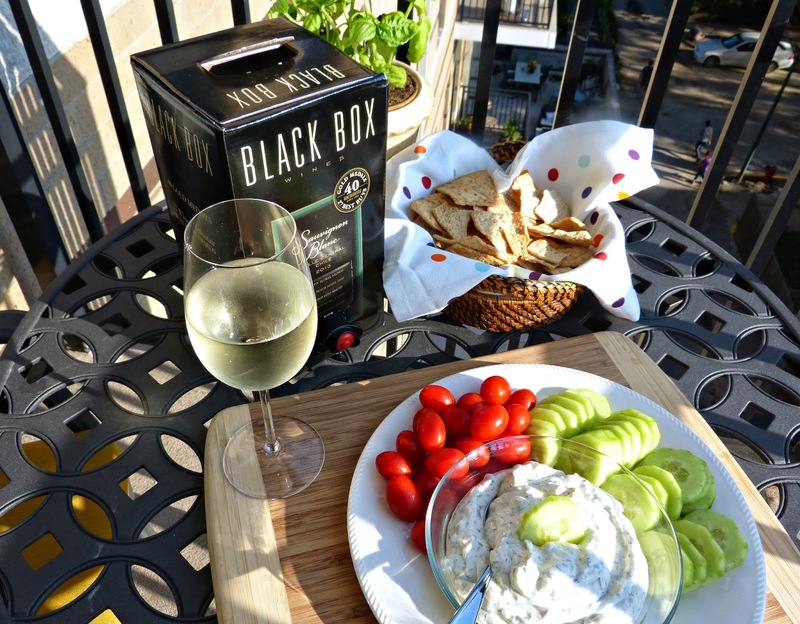 Black Box, however, is an award-winning wine-- winner of 40 Gold Medals and 27 "Best Buys" by Wine Enthusiast Magazine. Not bad. Beyond those nods, I would also agree that the wine was surprisingly good. I loved the bold Pinot Noir, which we enjoyed during a casual pizza night at home. And the crisp Sauvignon Blanc was great served with some crudites during a lazy evening on our patio. The wines are super affordable and they also come in 3L boxes (that's the equivalent of 4 bottles of wine, folks), and the wine stays fresh for about a month, so even if you don't finish it off right away you can keep enjoying a glass here and there without worrying that it will go bad in the meantime. So, now that we've covered the perfect drink to serve for your easy summer get together, let's talk about food. I like to keep things simple in the summer and this veggie dip is not only one of my favorites, but it also couldn't be easier to make. 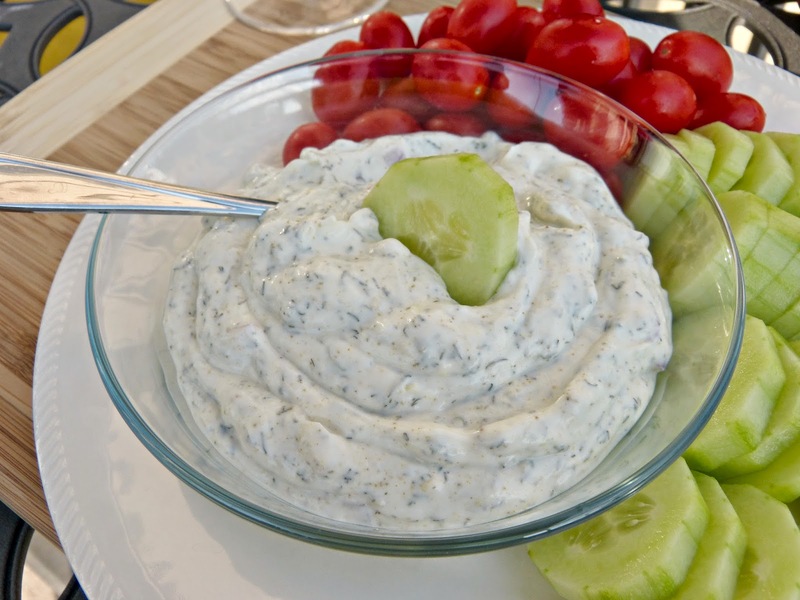 This lemony dip recipe is my take on my mom's signature dill dip and it is addictive. The secret ingredients here are the curry powder and seasoned salt-- they really give this dip some unexpected and delicious flavor. 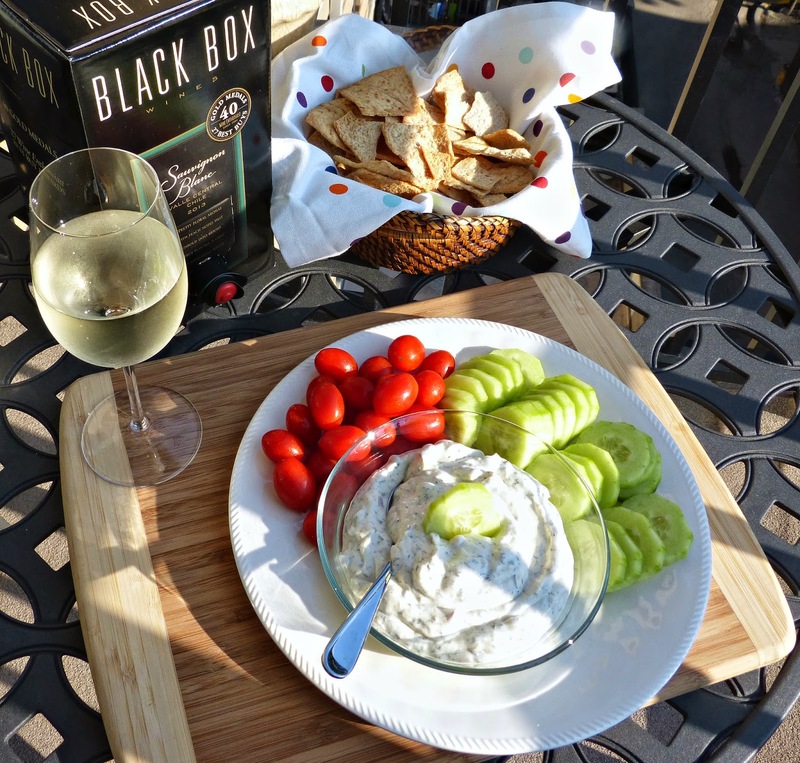 This dip is great paired with a variety of raw vegetables and made a delicious and easy snack to enjoy with a few glasses of Black Box Sauvignon Blanc on a recent summer Friday evening. This dip is ideal for entertaining-- or just for at home snacking. Enjoy! Combine all ingredients, cover, and chill for at least one hour. Serve with raw vegetables, pita chips, pretzels, or dippers of your choice. Editor's Note: Black Box Wine was provided to me at no cost. The opinions expressed in this post, as always, are my own. 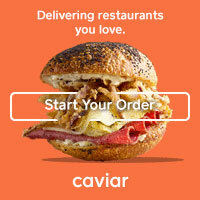 I love a giveaway! Thanks for the head's up!